Fall brings out the chef in me. I love warm and cozy meals, especially if they are easy one-pot meals. This soup is creamy, hearty and decadent..oh did I mention it is semi-healthy...minus the bacon? You have got to make this soon! It would be a perfect dish for after the pumpkin patch. You can chop everything up ahead of time (except for the sage, which has a tendency to turn black around the edges once cut). I got the idea to make this soup from a Food Network Magazine a couple of years ago. They had an insert in the mag on 50 ways to use canned pumpkin. In there was a recipe for pumpkin soup with apples and bacon. 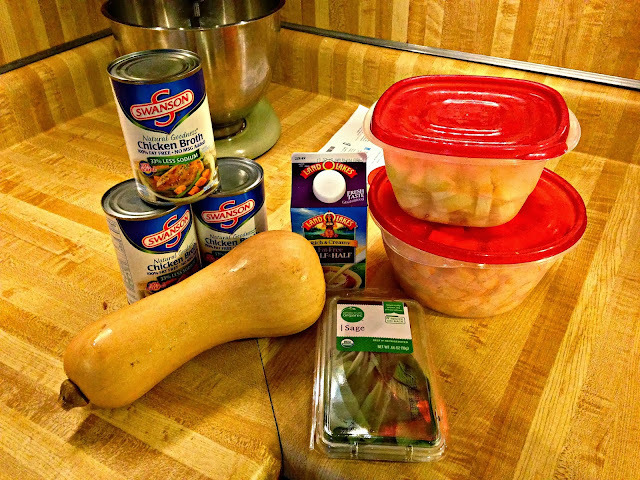 I am not the biggest fan of canned pumpkin unless its being used in desserts, so I decided to swap the squash. 2 Medium Butternut Squash, diced into half inch pieces (roughly 5 cups). 1. 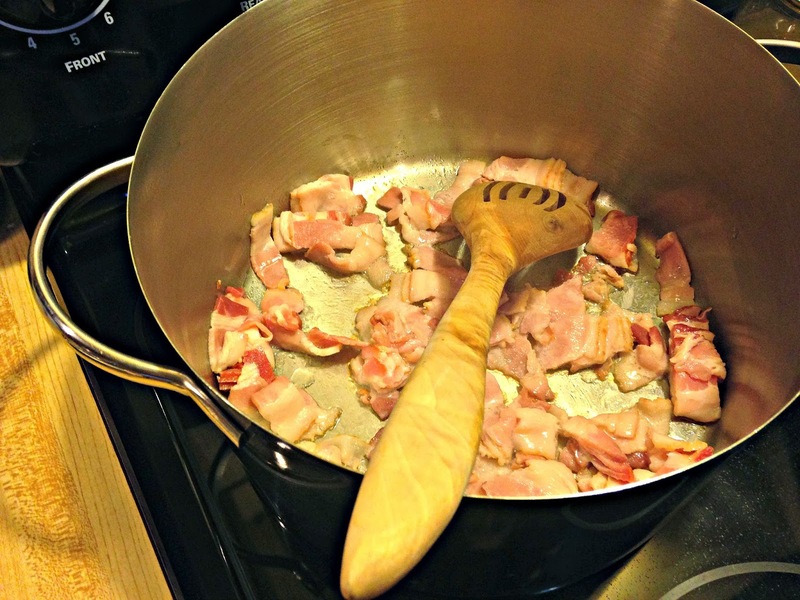 In a stock-pot, stainless preferably, cook your bacon until dark brown and crunchy. Place on paper towels to drain. You want to have the browned bits on the bottom of the pan to flavor the soup, which is why it is preferable to have stainless. 2. Remove a little over half of the bacon fat from the pot, leaving enough to saute squash. Add the squash and cook on medium-high heat for ten minutes. Do not stir too often, you want to squash to brown a little. 3. 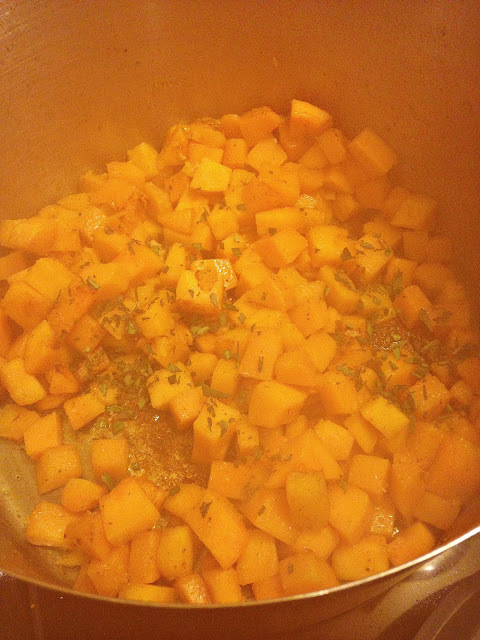 Once the squash has began to soften, add apples, sage, cinnamon and saute for another 5 minutes. 4. Add chicken broth, salt and pepper and bring to a boil, then reduce heat to maintain a simmer. Cook for around 10 minutes or until squash and apples are extremely soft. 5. Remove from heat, ladle a cup of squash soup mixture into the half & half to temper it. This will help keep it from curdling. Once tempered pour back into the pot and stir. 6. Add half of the cooked bacon back to the pot, reserving the other half for garnish. 7. Using an immersion stick blender, blend the soup until very smooth. 8. Serve in crisp white bowls and top with additional bacon, apples and sage. This dish is such a satisfying fall soup that is hearty without being too heavy. It would make a great appetizer soup too! The recipe ended up making roughly 7 large servings...or in our case 4 servings with 4 small seconds! This is the second butternut squash soup that was posted this week. Obviously it's the perfect fall soup! Thanks for linking up! Yum!! Stopping by from the link-up and so glad I did with this delicious recipe!! Thanks for sharing! This soup looks so good! Thanks for sharing this recipe and linking up! You had me at bacon! This sounds amazing! 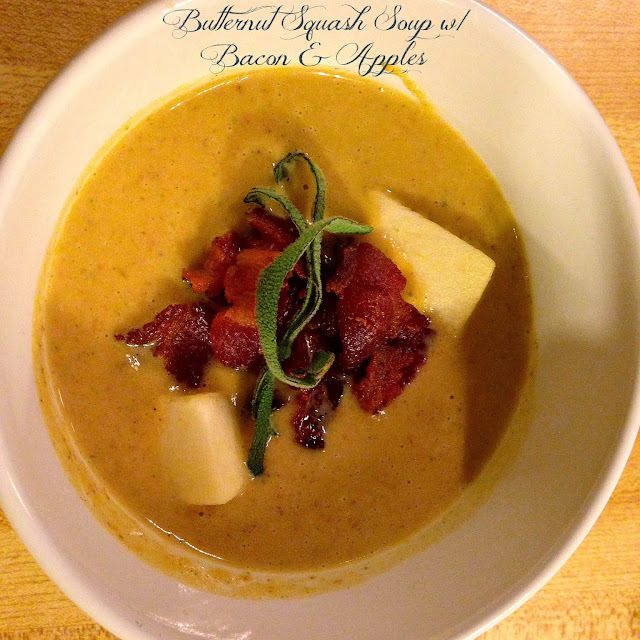 This soup sounds amazing with the bacon and apples... butternut squash is one of my faves. I roast the squash in the oven before so it's easier to cut up though. This sounds soooo good! I recently added bacon to my list of foods that I love to eat -but only occasionally. This is a good way to get some without the guilt! Another amazing recipe! Is it bad that I think the bacon is the best part?! Thank you for this recipe!! 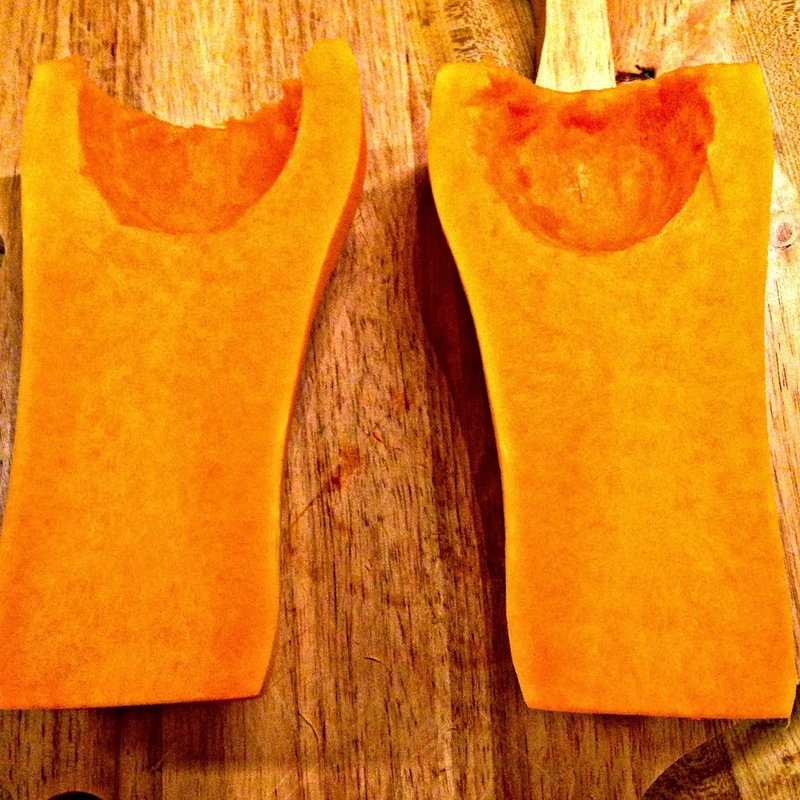 Our butternut squash plant has been spitting out squash left and right and I have been hoping to find a new way to use them. Can't wait to try this! !